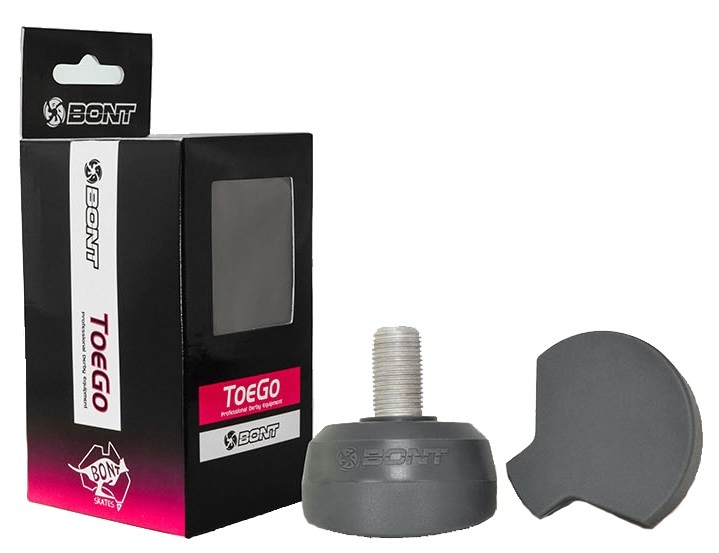 Bont ToeGo Roller Derby Toe Stop is going to maximize your stopping power with it's pre-angled shape and perfectly sized foot print for today's game of roller derby. The Bont ToeGo is made of a super long lasting and grippy rubber that is designed to get you moving on the track instead of slowing you down. Great grip, angled point of contact - ideal for the game of stop and go in roller derby.